The best kinds of days are those you think are going to be good, and instead they end up being great. Today was one of those days. We were treated to an afternoon of Aboriginal culture, music, art, craft and great conversation with some wonderful, amazing hosts. 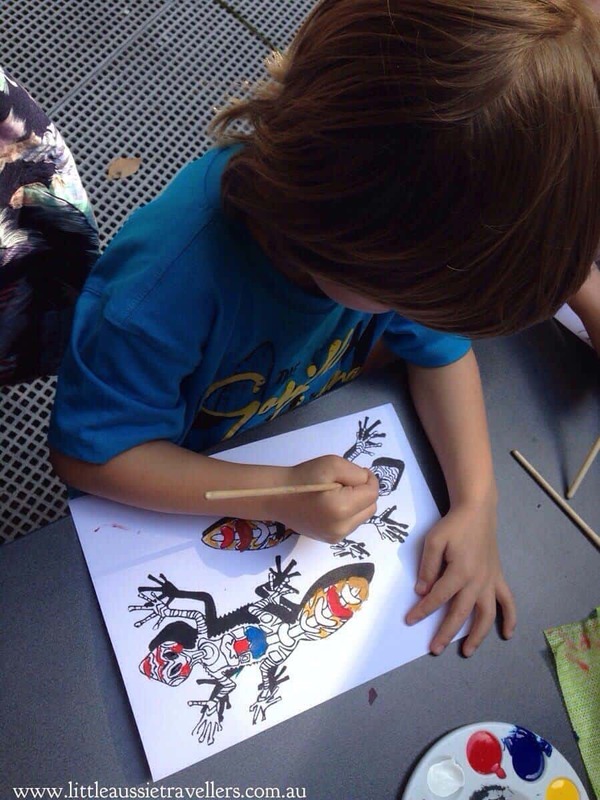 We took part in Sea Acres Rainforest Centre’s “Aboriginal Art in the Rainforest” activity. I’m beginning this blog post with a big hello to Aunty Rose, who took details of our blog with her today so she could take a look. Hi Aunty, and I hope you enjoy looking around the site. Then, another huge thank you for being so welcoming today to local artists Aunty Debb Robinson, Aunty Leah Bale, and Russell Moran you all ensured we had a wonderful afternoon full of both education and lots of fun! As some of you will know, I returned to University a couple of years ago to do my degree in Indigenous Studies. This decision was driven by my respect and passion for the amazing Aboriginal culture, hunger for knowledge and understanding, and the ability to ensure that I can be a positive part of ensuring that Australia does not lose this amazing history, and above all that my children grow up with respect and knowledge. My belief is, that no matter what your cultural background, it is important for every Australian to embrace Aboriginal culture and celebrate the stories, beauty and spirit of the lands on which we all live here in Australia. So, when I get the chance to celebrate, share and learn about our home region with my kids, I always love to do the activities at Sea Acres Rainforest Centre. We received a welcome to country from Russell, and did some singing along with Aunty Debb, who is a great singer. Then we were treated to the Kamilaroi people’s story of the “Emu in the Sky” which gave me goosebumps. 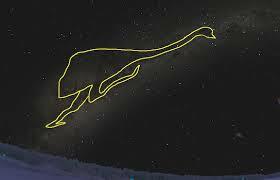 The Emu in the Sky story shares knowledge of the changes to the milky way, and the connection of the appearance of an Emu amongst the Milky Way and the breeding cycle of the Emu on the land. These changes would signal to the Kamilaroi when they could collect emu eggs, and when they must stop. We also learned how the Koala lost his tail. No matter how many dreaming stories I hear, I am forever in awe of the connection of the plants, the waters, the stars and planets and the animals on the land. Everything is so connected, and I wish people in general understood and appreciated this more. 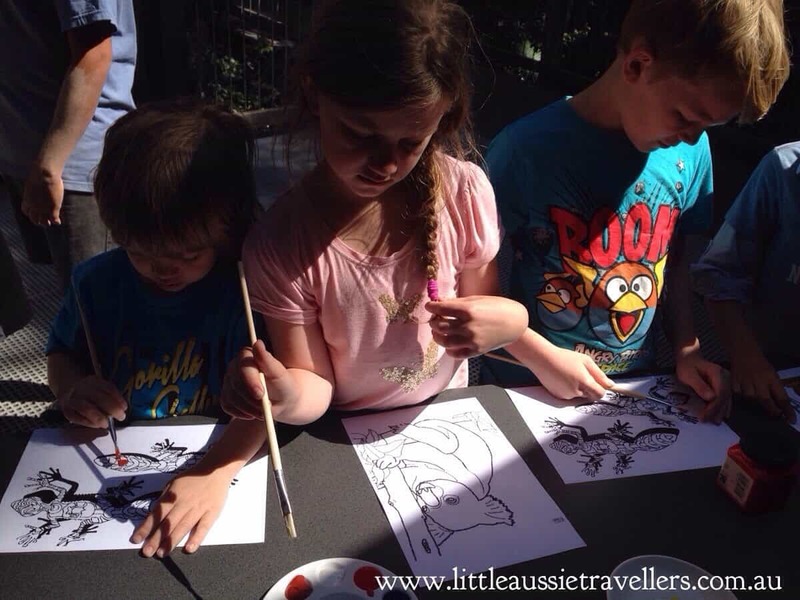 The kids really enjoyed doing painting activities of native animals, the boys in their usual style chose to paint geckos. They still miss our pet reptiles and are forever on the hunt for snakes and lizards while they are out exploring so it was an easy pick. My personal favourite part of the day was the weaving workshop. 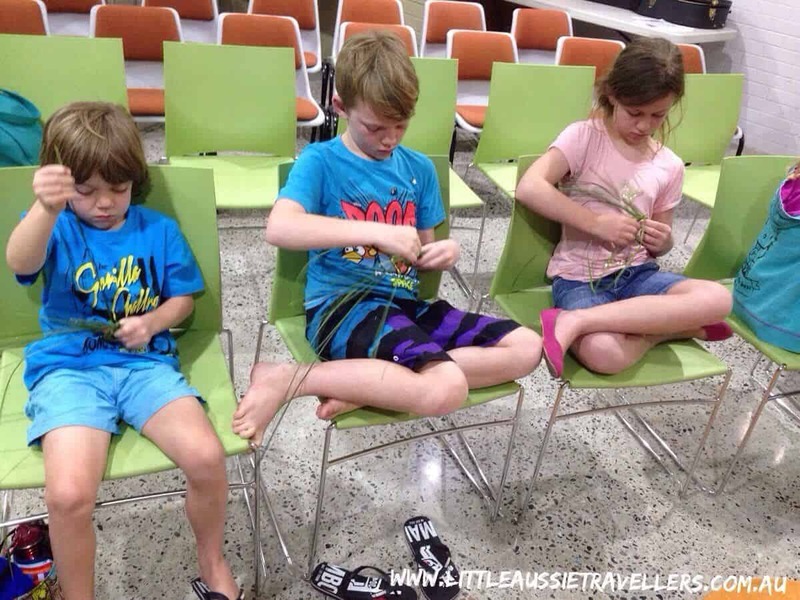 Our first visit to the Northern Territory was the first time I saw weaving, and from that moment I was in love with the earthy beauty of bowls, bags, floor mats, wall hangings and all of their variations, woven by hand. I have longed to learn the art of weaving, and I was overjoyed to get the chance to learn, alongside the kids and it was so much fun. Aunty Leah was telling us of a weaving project that stands as tall as herself, which took her three months to complete. 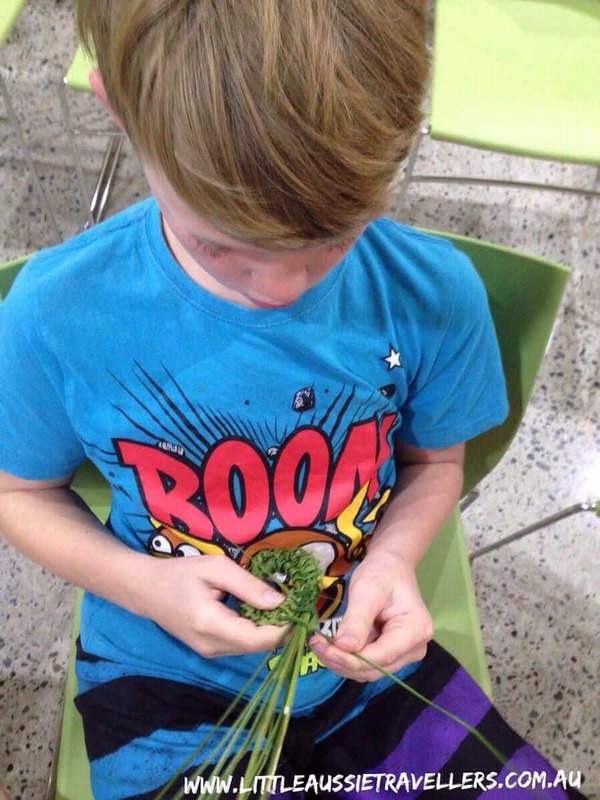 Our first efforts aren’t particularly neat, but we’re definitely going to try harvesting our own Lomandra and getting in some more practice. It is a lovely, calming activity and my soul was as happy as I thought it would be, finally gaining an understanding of the process. 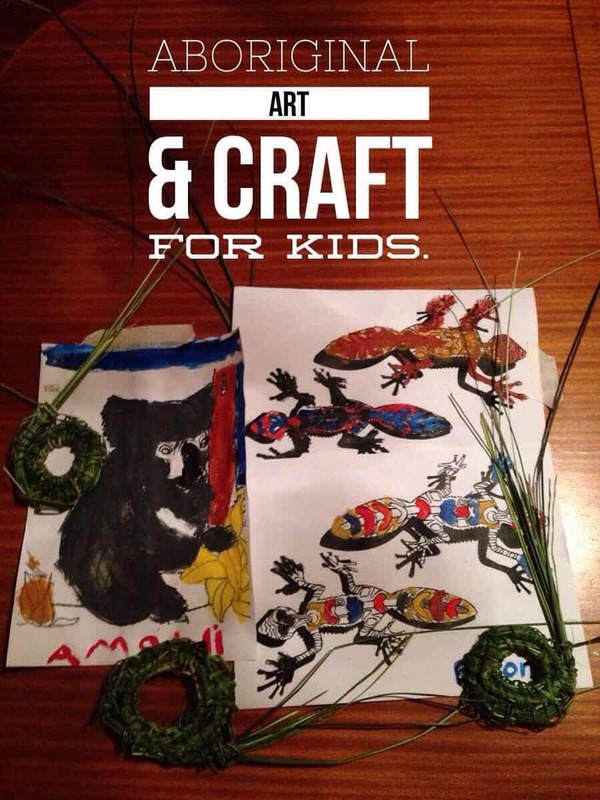 So, if you’re ever in Port Macquarie or surrounds during the school holiday period, then I can highly recommend taking part in any of the cultural activities on offer. We’ve been before and we’ll return again if we’re in the area. A huge, huge, huge thank you again to Aunty Debb, Aunty Leah, Aunty Rose and Russell. I had a great day chatting to you all, and the kids had a wonderful day learning and doing the activities.